This is one of the many success stories that Explore Ecology environmental educators hear from students who have participated in their waste reduction lessons. Taught onsite at Art From Scrap or in schools, Explore Ecology delivers free waste reduction and composting education to 2,000 students in Southern Santa Barbara County and 4,400 students in Northern Santa Barbara County every year. Made possible through a partnership with the County’s Resource Recovery & Waste Management Division, Explore Ecology teaches students how to conserve natural resources, save landfill space, and become effective environmental stewards. All lessons include an Art From Scrap project so children get to practice the concept of reuse. This education is not only valuable academically; it also contributes greatly to the environmental health of the community. 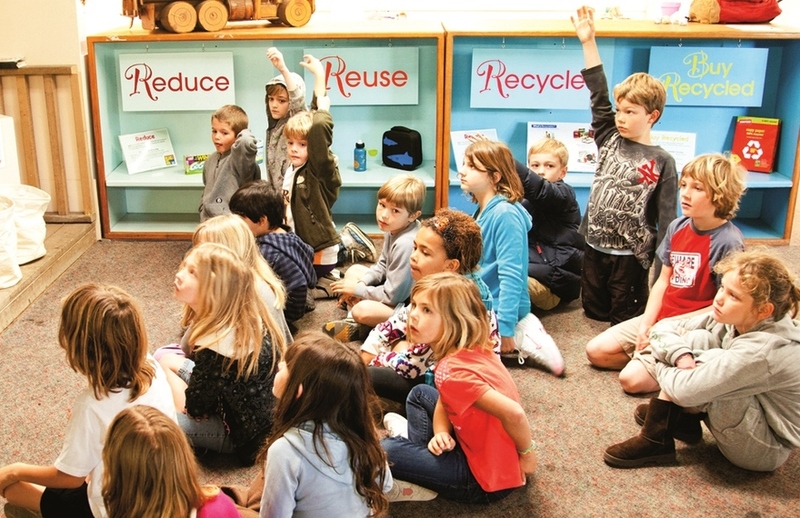 Explore Ecology’s waste reduction lessons meet state standards and are a valuable supplement to the education already provided by classroom teachers. For more information and to schedule field trips, contact Explore Ecology Education Director Mariana Cruz at (805) 884-0459 ext. 16 or email her here.